Build on an established foundation of elementary math skills with the LIFEPAC Pre-Algebra Set. Complete with a teacher's guide, this mastery-based curriculum from Alpha Omega Publications offers ten engaging worktexts covering the real number system, proportional reasoning, functions, measurements, plane geometry, data analysis, probability, and more. Prepare your eighth grader for high school math courses with the LIFEPAC Pre-Algebra Set from Alpha Omega Publications. In this homeschool math program, students focus on mastery of a skill before moving to new skills. In ten engaging worktexts, this set presents instruction in the real number system, proportional reasoning, functions, measurements, plane geometry, data analysis, probability, and more. 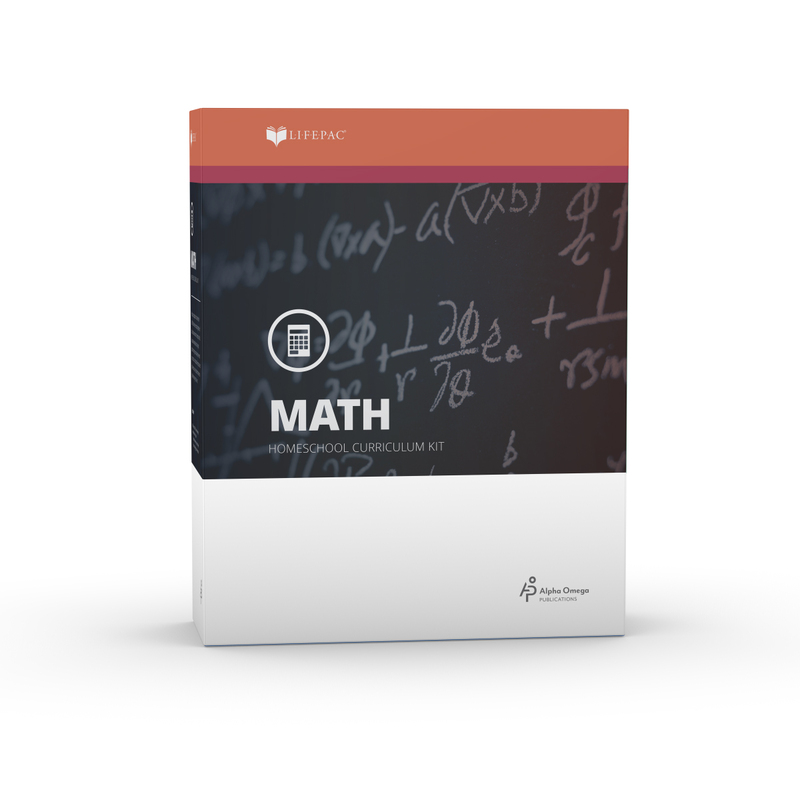 In the LIFEPAC Pre-Algebra Set, student worktexts include daily math instruction and review, as well as self tests and a removable teacher-administered unit test. To encourage individualized instruction, a teacher's guide is included to help you guide your student's learning according to his specific interests and needs. The teacher's guide includes detailed teaching notes, a complete answer key with solutions, and lots of ideas for additional activities that reinforce important math concepts.